The Rand Reading Study group in 2002 noted that the Internet “make large demands on individuals’ literacy skills , and little is known about how to analyse or teach these skills”. Print-based and online reading share a number of common skills (e.g. decoding, word recognition and reading fluency) and strategies (e.g. identifying and locating information, monitoring understanding and evaluating text). However, higher levels of these skills strategies and indeed dispositions may be required to fully exploit the potential of the Internet and other digital technologies for literacy as sites for deep learning. In considering the possible changes when reading in an online environment I want, in this blog post, to consider how P. David Pearson’s metaphor of the reader as a ‘builder’ and a ‘fixer (Pearson, 2009) could be transitioned into an online environment. I want to draw on and extend this use of metaphor and consider the online reader from four perspectives: the online reader as an ‘assembler’, the online reader as a ‘builder’; the online reader as a ‘fixer’ and finally the online reader as a ‘responder’. The Internet is a nonlinear, multimodal, n-dimensional space. The reader must assemble the text to be read, it is not a given. He /she does so by carving a unique, opportunistic pathway through a larger, more expansive and boundless navigational space. Although the print based reader may choose to read nonfiction or indeed fiction text in a non-linear fashion, (skipping the descriptive passages of a novel to get to the heart of the action. Do any of us admit to doing that?) the body of printed text is a fixed entity within the confines of the covers of the book. 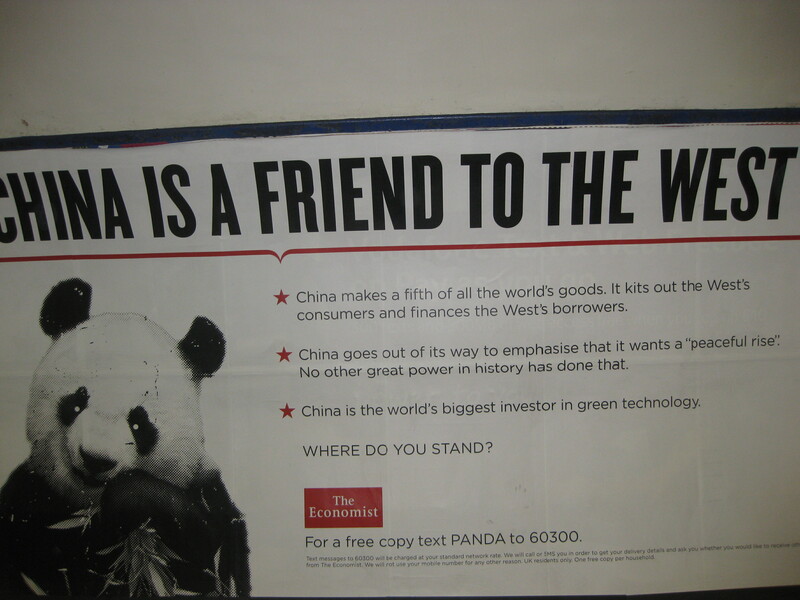 The reader is aware of exactly where they are in a print based text and indeed the length of such a text. You know when to slow down and linger to savour the dying embers of a novel! Online text is more fluid and dynamic. Further, it is the reader rather than the author who decides on the pathway through online text. We talk a lot about the transaction between the reader and the text. In an online environment there is a physicality to that interaction. The interaction between the online reader and text is more transactive and reciprocal in nature than in a print based environment. John Mc Eneaney refers to this as agent-based theory (Mc Eneaney, 2006). For example, when I log on to Amazon.com I am greeted by a welcome back message with suggestions related to former purchases, possibilities for future purchases including references to books purchased by colleagues. The online reader must draw flexibly on a wide range of prior knowledge sources in an online environment. Prior knowledge sources including the architecture of online information text structures (e.g. menu, hyperlinks, audio and video links); end-user application knowledge such as, navigational skills and knowledge of browser features; domain and topic knowledge and world knowledge. What is unclear is how these knowledge sources fuse together in an online environment. For example, what level of automaticity of prior knowledge of both online informational text structures and navigational and Internet application knowledge is required to free up the cognitive energy of the online reader to focus on and connect with prior domain, topic and world knowledge? What level of domain and topic knowledge is needed so that the online reader has a sufficiently extensive subject knowledge and vocabulary range to generate and revise search terms , investigate search results with a critical eye, and judge the accuracy, authority, relevance and importance of information in text to the task at hand? Finally, what about the role of knowledge gathered on-the-hoof by the navigational decisions of online readers across multiple websites where online readers accrue new knowledge and update their prior knowledge sources in the malleable moments of Internet searching? Learner control and choice is heightened in an online digital environment. The online reader generates search terms and evaluates search results, activates hyperlinks by making predictive inferences about hidden content. The online reader judges what information to skim quickly and what information to scan carefully. While this can both empower and liberate the online reader it can also be daunting for those readers with limited online skills. The online reader must be metacognitive, strategic and exercise high levels of persistence, self-efficacy and cognitive flexibility to take responsibility for their own learning in a shifting dynamic environment. We are certainly faced by a number of issues of a global nature in the 21st century. 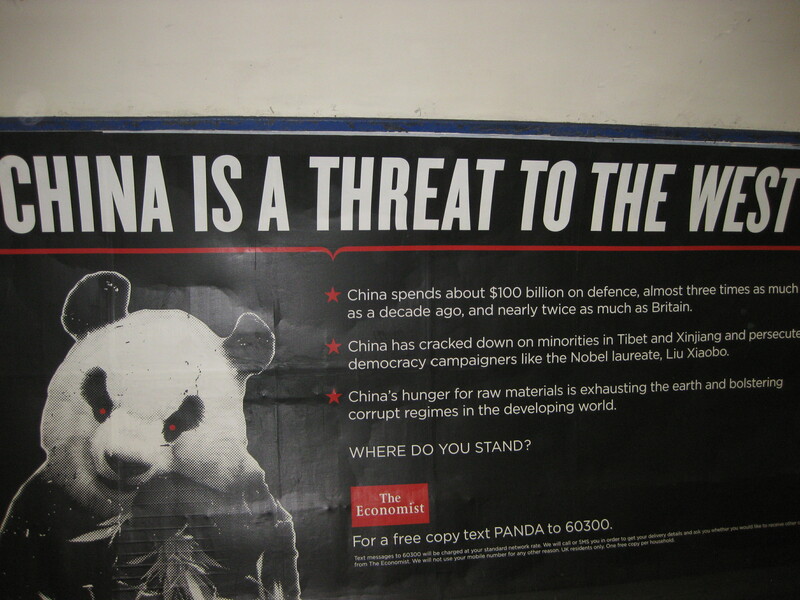 Consider for example the two posters which follow which I photographed on the London Underground related to whether China is a friend or foe to the West. What critical stance would you take? Critical evaluation of information is an important skill in a print-based environment. However, critical evaluation and interrogation of information in an online environment is crucial as anyone can post anything in an open networked environment such as, the Internet. The internet is largely unvetted by any editorial review of traditional mediators, such as, critics, editors, or reviewers (Metzger, 2007). The online reader needs to respond to information posted online as a critical evaluator of online information (e.g. assessing reliability and accuracy of information). Is the information dependable and how do I know? The online reader must exercise critical thinking skills to interrogate the text. How do I evaluate accuracy, believability? Critical literacy skills are important for the online reader as information is not neutral. So how do I assess the author purpose, stance and bias? Finally, media-saviiness and media literacy skills are important to develop. Asking questions such as, how do I separate the media from the message? So to my mind the online reader must act as an assembler, builder, fixer and responder, exercising higher levels of skills, strategies and dispositions to fuse these response modes and in so doing construct meaning from text. McEneaney, J. E. (2006). Agent-based literacy theory. Reading Research Quarterly, 41(3), 352-371. Metzger, M. J. (2007). Making sense of credibility on the web: Models for evaluating online information and recommendations for future research. Journal of the American Society for Information Science and Technology, 58(13) 2078-2091). Pearson, P. D. (2009). The roots of reading comprehension instruction. In S. E. Israel & G. G. Duffy (Eds. ), Handbook of research on reading comprehension (pp. 3-31). New York: Routledge. RAND Reading Study Group. (2002). Reading for understanding: Toward a research and development program in reading comprehension. Pittsburgh, PA: Office of Educational Research and Improvement.